This Terraza home has a perfect Southern view of the Santa Rosa Mountains and overlooks the rolling greens of the third fairway of the Robert Trent Jones Jr. championship golf course. Its elevated position over the course provides privacy for residents while enjoying all the benefits of a luxury golf front home. A Terraza II floor plan has the best of both worlds, the main retreat with two master suites and a fully built-out 2-bedroom detached casita for your guests. Vaulted ceilings and picture windows give a light and bright feeling. Neutral tile flooring set on the diagonal throughout with carpeted bedrooms. Modern dual-sided fireplace in between living and dining room. Main master bedroom has a picture perfect golf course and mountain view and the spacious bathroom with two walk-in closets provide classic charm. With the community pool only seven houses away, there is no need for pool maintenance. Seller is licensed CA broker. This is a beautiful Montana III Plan. There are 4 bedrooms and 4.5 baths at approximately 4,243 SF. Offered Turnkey Furnished including art, accessories and a beautiful Yamaha Baby Grand Player Piano. The gourmet kitchen is fully stocked with everything you would need. There are stainless steel appliances and granite slab counter tops. A detached guest casita offers a perfect place for your guest or family visitors. There is a kitchette with microwave and mini refrigerator. There are many upgrades with custom lighting, sound system and built-ins. The yard is spacious and provides privacy all the way around with views of the northeast mountains. Lush landscaping and a beautiful pool/spa with cascading waterfall. This home is located on the 18th fairway of the Jones Course. A four-seater golf cart is waiting for you in the garage. Much pride in ownership! Bring a reasonable offer! Sophisticated furnished designer updated Encanto I elevated on the 12th fairway of the Pate course.Rare large premium lot of 12,632 SF(corner of Rancho Pointe&Mission Dr.E)offering privacy & northwest vistas of the Santa Rosa mtns.Gorgeous lead glass entry door leads to a voluminous ceiling entry w/exquisite handcrafted wall paper & a beautiful chandelier. Featuring the spacious popular GR with high ceilings & newer entertainment center w/speakers,built-ins&a dramatic caststone FRPLC.Gourmet kitchen w/modified wet bar, island & stainless steel appliances. Consisting of 3 BDR plus a den(w/Queen Murphy Bed). Other features are custom painted accents;newer porcelain tile; restained cabinets w/hardware;crown molding; baseboard; solid raised panel doors;new HVAC system.2 car garage plus golf cart garage.Lavish MB suite w/customized wall paper ceiling;marble counters,new stone floors&large walk-in closet.Fabulous fully enclosed backyard w/wrought iron fencing;custom BBQ & enticing pool&spa. Stunning highly upgraded Montana III on a quiet cul-de-sac boasting awesome views of double fairways of the Jerry Pate Course, a serene lake & surrounding mtns. This luxurious 4 BR, 4.5 BA includes a private Casita.The outdoor resort style living area is enhanced by a large dramatic peeble tech pool, spa & water features adjacent to a built-in granite table w/seating for 8 & a custom BBQ.Owners & guests will enjoy the granite serving bar area, cozy fireplace & fiepit & LED lighting for ambiance.Enter thru the grand rotunda w/marble accents & travertine floors & you will be impressed.The formal DR features a granite surface bar & Sub Zero Wine refrigerator.The FR w/built-in entertainment center & surround sound w/stacked stone fireplace&step-down wet bar is ideal for relaxing.The living room is being used as a billiard room. Lavish master suite w/fireplace,jetted tub,separate shower&wrap around walk-in closet.3 car garage w/epoxy floors & built-ins. This is the ultimate desert retreat! Price Adjustment! Be amazed by the remarkable panoramic western mountain views from this spectacular Encanto I home. Nestled amidst the beauty of the Jerry Pate course, overlooking the fourth green and across a tranquil lake to the fifth fairway, this popular and spacious great room plan creates a soft contemporary flair. Special features include distinctive custom window treatments, rich travertine floors and custom wood built-ins. The gourmet kitchen has a center island, granite counter tops and an impressive array of stainless steel appliances. Three bedrooms plus an office. Double car garage, plus golf cart garage with epoxy floors. Office has sleeper sofa for additional sleeping. Outdoor you will find the pool, raised spa, built in barbecue and conversation area with a fire pit. Rancho La Quinta Country Club offers a unique landscape, and often elicits impressive responses from visitors. The bougainvillea-covered entrance way welcomes members to this beautiful resort, with its winding streets lined with palm trees and sparkling waterfalls. This 700-acre planned community was created in 1993 and finished in 2010 with about 1,000 Spanish hacienda-style homes in three separate enclaves. The Ventanas have 90 homes off the course with 2,038 to 2,566 square feet and private courtyards. The Casitas have 88 luxury condominiums, from 1,725 to 1,967 square feet. These condos surround the Racquet Club and Fitness Center as well as the sunken tennis courts. There are also elevated homes on the golf course ranging from 2,040 to 4243 square feet in size. Social club dues are included in the homeowner’s association fees. The country club is well known for its two excellent golf courses. The Robert Trent Jones championship course was the host location for the Skins Game for three years. Its 7,068 yards are characterized by sloping greens, waterfalls, citrus trees, and lakes. The Jerry Pate course is considered the more modern of the two and uses more of the desert scenery in its overall ambiance. It offers 6,922 yards of golf action with water shots strategically placed throughout. Golfers love the views of the Santa Rosa Mountains. The clubhouse is 23,000 square feet of early 1900’s California architecture. It offers everything from casual dining to the best of five-star cuisine. The Rancho La Quinta Country Club is its own world even though it is in the heart of La Quinta. There are many fine restaurants within minutes in Old Town La Quinta as well as popular boutiques. The club is also only ten minutes from El Paseo in Palm Desert and the McCallum Theater. More golf opportunities abound in this valley as well as hiking and biking trails. If you’re already working with a Real Estate agent, please utilize your agent’s website & direct expertise to aid in your home search. We are only able to directly serve our own clients. Thank you for your interest in the Rancho La Quinta Country Club community, and we wish you the best of luck with your Real Estate needs. Whether you are contemplating buying or selling a home in Rancho La Quinta Country Club, it is important that you hire the right team that fits your needs. We roll out the red carpet for buyers & sellers alike, and ensure you have access to us 24/7, as we aim to earn your business for life! 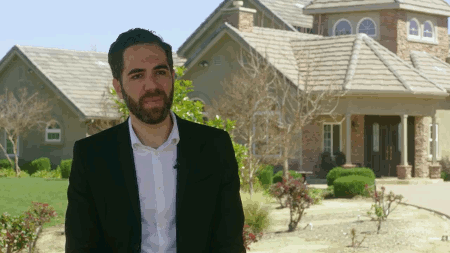 We understand the market well, and you will not find a more qualified Rancho La Quinta Country Club real estate agent to help you with all of your Real Estate needs! As a buyer, you will have access to Rancho La Quinta Country Club listings the second they hit the market, which gives you a leg up on the competition. As a seller, your home not only will be featured on one of the top Rancho La Quinta Country Club sites on Google, but we also will syndicate your home to hundreds of other sites, hold weekly open houses, send out postcards, and much more! We have helped dozens of buyers & sellers, and look forward to helping you as well! This newly listed 3 bedroom, 3 full baths, 1 quarter bath home, located on Mission was first seen on Thursday, October 11th at 11:07am for a price of &dollar;979,000. With 2,635 square feet of total floorspace, this home comes in at &dollar;371.54 per square foot. That's 26.49% higher than the neighborhood average. There are also 2 garage spaces available for parking. Originally built in 2003, this home sits on a 8,712 square foot lot (S). Listing provided courtesy of Bonnie Rubin at Homesmart Professionals.